Hi, all, I just wanted to let you know that probably this upcoming weekend I will be sending out this wolf design in pes format. 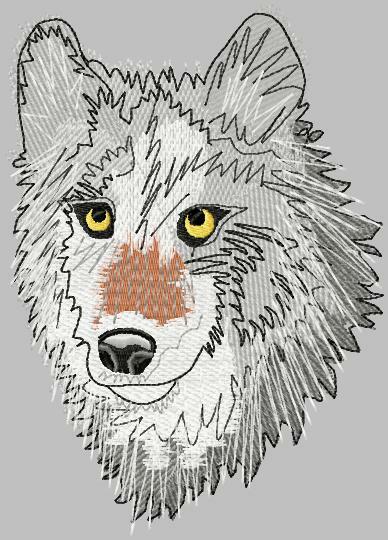 I digitized this design from artwork by Vivian Gibson. Vivian from rosecottage has a great monthly digitizing challenge and makes her art available for free as well as free lessons (non specific to software) for that monthly art. The wolf was last month’s and he certainly was a challenge. He stitched out beautifully on a tshirt for my hubby and I thought you might enjoy him, too. My husband, John, certainly does. Thanks for visiting Oma’s. Hi Oma, Your wolf looks FANTASTIC!! I sure am glad that I am on your email newslist as I will look forward to this very special design!!! 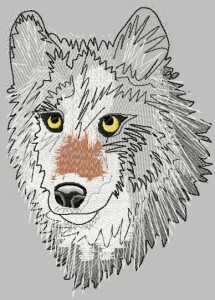 Links for the wolf design does not work. Thought you would want to know.